In this exceptional study, Christian Fuchs discusses how the internet has transformed the lives of human beings and social relationships in contemporary society. By outlining a social theory of the internet and the information society, he demonstrates how the ecological, economic, political, and cultural systems of contemporary society have been transformed by new ICTs. 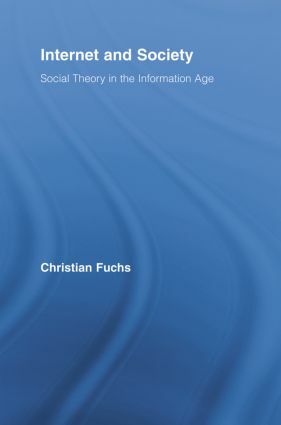 Fuchs highlights how new forms of cooperation and competition are advanced and supported by the internet in subsystems of society and also discusses opportunities and risks of the information society.